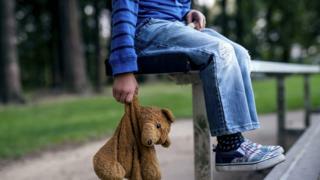 Children’s safety could be put at risk if the UK leaves the EU without proper plans for child protection, the UK’s four children’s commissioners warn. Child abuse, exploitation, abduction and how family law matters are dealt with if a child has one parent from the EU, are all “immediate issues”. In a letter to Stephen Barclay, the minister for exiting the EU, the commissioners ask for reassurance. The government said protecting all citizens was its first responsibility. Anne Longfield (children’s commissioner for England), Sally Holland (Wales), Bruce Adamson (Scotland) and Koulla Yiasouma (Northern Ireland) said they had reservations “about the degree to which children have been engaged and considered” during the Brexit process. The commissioners highlight their fears over co-operation on child protection and law enforcement after Brexit, saying that prevention of child abuse and exploitation often involves international collaboration. “For example, the viewing and sharing of child abuse images nearly always involves a network, often international. “This means an offender may be discovered elsewhere in the EU, but resident and presenting a threat to children in the UK. The commissioners express similar concerns over children who are trafficked into the UK. “Generally, these children will arrive from Europe, even if their home country was outside the EU. They also raise concerns about children who are abducted and taken to a European country. “If abducted children are taken abroad, states need to be able both to arrest and extradite the perpetrator and ensure immediate steps are taken to protect the child. The co-operation of EU member states is vital in enabling this. The letter also says matters of family law are another area of concern for the welfare of children. “There are, and will continue to be, numerous EU national children in contact with children’s services across the UK, and children, including UK national children, who have a parent living elsewhere in the EU. The letter goes on to raise concerns about vetting procedures for EU nationals working in childcare positions across the UK. It says current information-sharing arrangements “enables criminal record checks issued in the UK to be informed by information gathered in other countries”. The commissioners say workers must have been “adequately vetted”. “This requires that the criminal record clearance continues to be informed by intelligence from other countries in which the professional has worked. A UK government spokesperson said: “Protecting citizens, including children, is the first responsibility of government. “The UK has proposed a comprehensive agreement on internal security that would ensure ongoing co-operation in this area, so that both the UK and the EU can continue to tackle fast-evolving threats.